Due to the strenuous and at times dangerous task of constructing cinder block structures, Backyard Flare, it’s officers, directors, employees, agents or any third party engaged, is not liable for any accidents, injuries, or negligence, which may occur during the construction of structures that are related to Backyard Flare build plans and/or instructions. 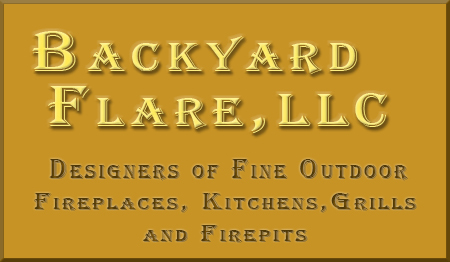 The purchaser and/or builder of any structure design by Backyard Flare assumes all risks associated with the construction of any Backyard Flare project and/or design. The purchaser and/or builder of any Backyard Flare project assumes all risks associated with any and all tools used to construct any Backyard Flare project. Backyard Flare, it’s officers, directors, employees, agents or any third party engaged, is not liable for any accidents, injuries, or negligence resulting in damages to person or property, which may occur during the construction of structures that are related to Backyard Flare designs. Backyard Flare, it’s officers, directors, employees, agents or any third party engaged, is not liable for any losses, costs or damages resulting from or related to the use of or inability to use any Backyard Flare build plans and/or instructions. The person building a Backyard Flare design does so with the understanding and agreement that Backyard Flare, it’s officers, directors, employees, agents or any third party engaged, shall not be liable, in any way whatsoever, including but not limited to negligence, for any damages to person or property attributable to the use of Backyard Flare material or construction of a Backyard Flare design. In no event shall Backyard Flare, it’s officers, directors, employees, agents or any third party engaged, be liable for any decision made or action taken by the purchaser and/or builder of a Backyard Flare design. Backyard Flare, it’s officers, directors, employees, agents or any third party engaged, shall not be liable for any damages, including without limitation, consequential, special, incidental, indirect, or similar damages, even if advised of the possibility of such damages. Any links from the Backyard Flare website to other internet websites not created by Backyard Flare. The reliability, availability, legality, performance and other aspects of resources on internet websites other than those created by Backyard Flare is beyond the control of Backyard Flare. Backyard Flare, it’s officers, directors, employees, agents or any third party engaged, accepts no liability in any way with respect to such websites as Backyard Flare is not responsible for the content of those sites. Backyard Flare, it’s officers, directors, employees, agents or any third party engaged, is not liable for any losses, costs or damages resulting from or related to any aspects, including but not limited to personal injury or property damage, of fires burned in any Backyard Flare fireplace. Backyard Flare, it’s officers, directors, employees, agents or any third party engaged, is not liable for any losses, costs or damages resulting from or related to any aspects, including but not limited to personal injury or property damage, if alterations are made to the structure as designed. The purchaser of a Backyard Flare design, before the sale of the product, agrees to not duplicate, copy, or share any Backyard Flare product with any party for the purposes of building additional structures. The purchaser of a Backyard Flare design agrees to the Backyard Flare policy that all sales are final and no refunds will be granted. The purchaser of a Backyard Flare design plan agrees to the liability disclaimer as set forth above.